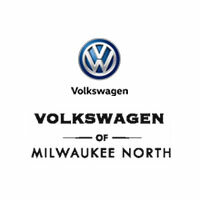 Why Get Your Volkswagen Oil Change Done at Your Nearby Milwaukee Dealership? One of the most frequently asked questions we get from our customers is “should I get a Volkswagen oil change at my local Volkswagen dealer?”. When it comes to regularly scheduled service of their brand-new or quality used Volkswagen vehicle, we understand the difficulties modern-day drivers face. Who do you rely on for your new car, truck, or SUV’s service? There are plenty of alternatives available to car owners today. Should you take your Volkswagen to the closest oil change garage? Should you drop it off at your neighborhood auto mechanic shop? Do you do it yourself? Or should you take it to your nearby Milwaukee Volkswagen dealership? We are here to help you address these questions and also to aid you with all your Volkswagen service and maintenance needs in the greater Milwaukee area. What Is The Best Place To Get an Oil Change? We know you’ve invested a lot of money and time in finding and purchasing your brand-new or used car. We also understand extending your vehicle’s life is your greatest priority. 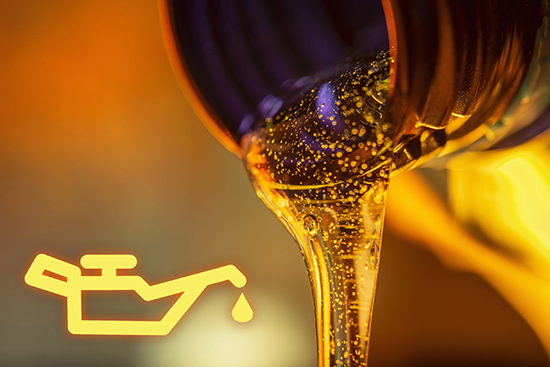 This means staying on top of your car or truck’s regularly scheduled oil change. With this in mind, Volkswagen’s local Milwaukee service center offers the following to help you answer the question: where is the very best place to get your oil changed? One of the assumptions people often make concerning car dealer maintenance departments is a higher cost. This presumption is usually proven wrong, particularly with routine service like oil changes. The majority of car dealerships provide incredibly affordable, and even lower, maintenance rates than the eye-catching Volkswagen oil change coupons which the specialty stores offer. If you have ever used your car or truck to one of those quick stop shops, you’ve undoubtedly found out that the name of the game is ‘upsell’. Those coveted ‘oil change near me offers’ can be changed faster than your oil once the service technician starts telling you what services and products your car or truck ‘requires’. At your local dealership’s Volkswagen service center, however, you’re going to get upfront pricing and deals that aren’t subject to change. Our speciality isn’t just in servicing your vehicle. We want to gain your trust as well as your continued business. It wasn’t too long ago that changing a vehicle’s oil was relatively universal for every make and model on the market. Times have definitely changed, however, thanks to more advanced engines and the advent of synthetic oil. One of the primary benefits in taking your car, truck, or SUV to a dealership for regular maintenance is the security that comes with manufacturer certified Volkswagen specialists. You can place your trust in individuals who are expertly educated to know everything about your vehicle’s service and maintenance needs. Parts On Hand – If issues are identified in the middle of the oil change, your Milwaukee Volkswagen dealership will more than likely have the parts required to repair it. Installed to Specifications – Certified Volkswagen technicians know what the torque specs are on your car, truck, or SUV’s drain plug and/or oil filter. No guesswork on the oil/filter – Our technicians know what kind and how much oil your car, truck, or SUV needs. How Long Will an Oil Change Take at a Car Dealer? The short answer is, ‘not long’. It should be noted, however, that our estimated service times differ depending on the volume of service customers. We strive to insure every one of our clients’ maintenance and service needs are taken care of as extensively and promptly as possible. That said, we understand there are unexpected and unavoidable circumstances that can cause longer-than-usual wait times. That is why we go the extra mile to offer our clients with comfortable waiting areas along with complementary courtesies and services you just won’t find anywhere else. We’ve got lots of excellent reasons for you to trust your Volkswagen’s maintenance needs to our service team. The very best reason we have, however, is the people servicing your vehicle. Not to get too cheesy here but you really can’t place a cost on the connections that are created during the car buying process. Typically, vehicle shoppers spend a lot of hours with an auto dealership’s sales and financing staff members. We recognize the value in the partnerships between our service and sales teams and our customers. That’s why we’ve made our number one priority the people that work for us as well as the people who choose to shop with us. We understand there are a lot of options available for your Volkswagen’s service and maintenance business. There truly is just one question that needs answering, however: who do you trust to have you and your vehicle’s best interest as their highest priority? Our Volkswagen Service Center is completely staffed and equipped to take care of all of the service and maintenance needs specific to your vehicle. For more details about our service specials and oil changes, simply call us or schedule online. Why Get Your Volkswagen Oil Changed at Your Local Milwaukee Dealership?